The electric winch is driven by the vehicle’s own power system. So what are the advantages and disadvantages of the electric winch? 1. Advantages: It can be basically used normally when the vehicle is turned off. This is its biggest advantage, and it is unmatched by other winches. Especially for the watery area, it has great advantages. It is easy to install and can realize multi-position installation and rapid displacement. 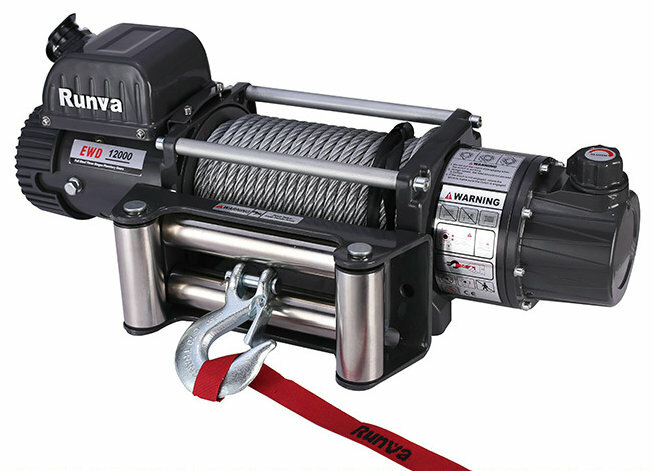 It is the most commonly used winch for off-road vehicles. 2. Disadvantages: Can not maintain long-term use, which is caused by the limitations of the vehicle’s own power system, self-heating and other reasons. Most electric winches can provide less driving force and can only apply force in one direction. They can only be pulled forward in front of the car and can only be pulled back in the rear. Before you buy an electric winch, you need to determine the pull you need and choose the electric winch that suits you. We have many models of electric winch for you to choose from.